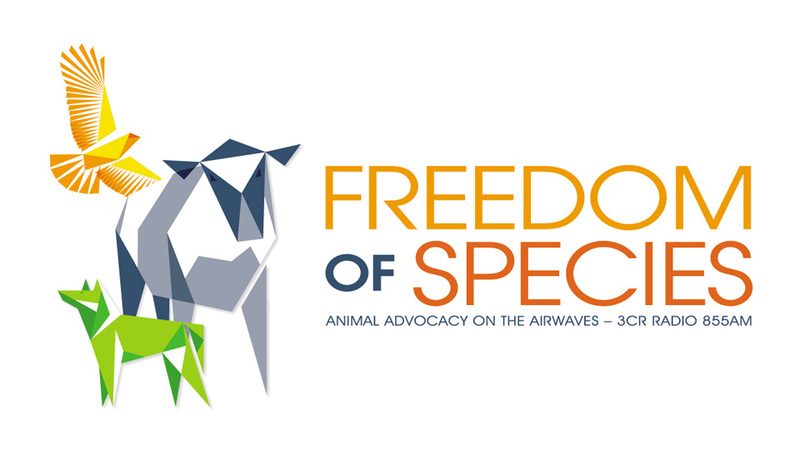 Animal Behaviorist in Ohio with great webinars! 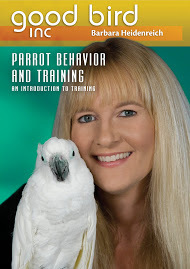 Pamela Clark, CVT is a well-known author, speaker, and parrot behavior consultant whose experience with parrots dates back 40 years to the purchase of her first pair of lovebirds. Her knowledge extends to a wide range of parrot species and has been gained through experiences as diverse as breeding to rescue and rehabilitation. 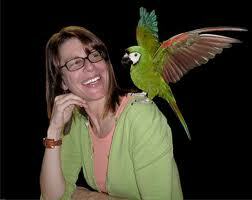 Pam has also trained parrots in behaviors as complex as that of free flight outdoors. Her particular areas of special interest include feather destructive behavior, training, flight and nutrition. As a parrot behavior consultant, Pam’s approach is uniquely comprehensive, coupling improvements in husbandry and nutrition with the most positive and most effective behavior modification strategies. She consults with clients throughout the United States, and as far away as Canada, Europe, Japan, Australia and India. Pam’s articles have appeared in the Grey Play Round Table, Companion Parrot Quarterly, Bird Talk magazine, Birds USA, Parrots magazine, Good Bird magazine and the Holistic Bird Newsletter and have been translated into several foreign languages. Pam also works as a veterinary technician for an avian specialist, Dr. Richard Hillmer of Oak Hills Veterinary Clinic & Bird Hospital in Salem, Oregon. In addition, she serves as co-instructor, along with Susan Friedman, PhD, teaching parrot behavior consulting for The Companion Animal Sciences Institute (www.casinstitute.com). She is also on the panel of experts for the World Parrot Trust (www.worldparrottrust.org). Pam lives in Dallas, Oregon with a mixed flock of 10 companion parrots, a dog and two cats. In 1982 Barbara Heidenreich secured her first job working with animals in a veterinary hospital. In 1990 after exploring various animal related professions, Barbara started her career as an animal trainer at a zoological park and has been a professional trainer ever since. Barbara provides consulting services to zoos, nature centers and other animal facilities. She lectures regularly to the veterinary community and is an adjunct clinical instructor at Texas A & M University, Veterinary Medicine and Biological Sciences. In her career she has trained animals, trained staff, lectured and/or presented shows at over 40 facilities around the world. The IAABC was founded in 2004 , recognizing that the practice of assisting the public with companion animal behavior problems was a growing field that encompassed many different professionals: veterinarians, animal trainers, animal shelter employees, academics as well as practicing consultants who didn’t always fit neatly into one of the aforementioned categories. The goals of the IAABC were to standardize and support the practice of companion animal behavior consulting, while providing resources for pet owners needing advice. The organization has since grown to nearly 400 members throughout the world.